Marketing Plan free PowerPoint template - Download Free Now! You can download Marketing Plan free PowerPoint template for free and without registration by using the link below. 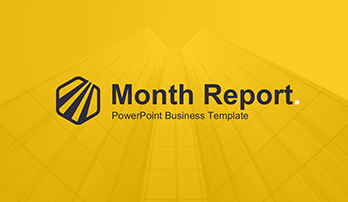 Use a PowerPoint presentation template to create your non-commercial and commercial projects. Marketing Plan free PowerPoint template contains 26 content slides that will simplify your work on the development of the presentation. The template is presented in PPTX, in two formats – 4:3 and 16:9HD, and in 5 popular colors. All slides were designed with PowerPoint built-in tools so you can easily change the color, text, or the location of the blocks. Slides with photos support “Drag & Drop” function. What is the Marketing Plan free PowerPoint template for? The formation of a stable customers’ circle, the search of your niche on the market, competitors’ suppression, the creation of a plausible reputation is not a complete list of tasks that entrepreneurs have to solve. Without a clear marketing plan, it is almost impossible to achieve a stable demand for products, brand recognition, a large number of loyal customers. So how to properly compile this important document for any business? Marketing Plan free PowerPoint template will help you and become your assistant. 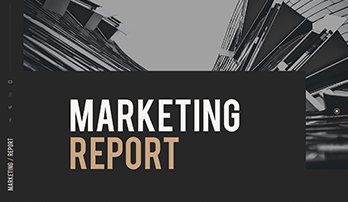 First, it determines what part of its funds will be spent on marketing activities. Secondly, it formulates a policy of promoting specific types of goods and services on the market. Third, it formulates a strategy and tactics for working with the target market, including the procedure for setting prices. Fourth, it predicts the value of sales of certain goods, revenues from sales and profits. Our template is designed to help you to compile the plan and professionally present it. This template has become the most popular and downloadable, therefore here we represent to you an updated version of this template! First, the cover slide comes. Its design is modern and creative. You see the mountains on the background. The title, the logo can be stated on the slide. Then, simple text slides are given. The next slide is the map. It is a convenient tool as well as demographic chart template for the presentations. On the map, it is possible to indicate the location of your factories, raw material deposits, statistics according to the distribution of goods, as well as the customers, etc. The next block of slides is biographies or “about us”. It is possible to introduce your team of employees, regard separate employees and the level of their performance, speak about your departmentunit. Then goes the lists that are followed by yesno slides. The slide that indicates your position and describes how to find you finishes up the template. The colors of the presentation should match its content. The colors should correspond to the sphere of your business and differentiate you from competitors. For example, green color is most often used by environmental protection organizations. The colors should match the audience. For instance, more restrained shades and PowerPoint themes are used if the presentation is designed for business representatives. High quality. The presentation serves as an image maker for any speaker. The success of your speech depends on the way you organize information, the quality of your visual aid. If the presentation has defects or loses quality, this can spoil the impression from the whole speech. That is why it is important to properly choose a premade template. This PowerPoints free download template is of excellent quality. In our turn, we guarantee you safe work without unexpected trouble and nasty problems. Printable slides. All these slide are ready for printing. It is convenient to make the handouts of the presentation, put them into the folder and hand out to all members before the speech. An excellent visualization tool. No presentation is made without visual elements. It is obvious that if your visual aid includes only text information, your audience will quickly fall asleep, get bored, or lose interest. As a result, your speech will go unnoticed and your idea and message won’t be remembered. Various visualization tools that include charts, images, diagrams, tables, mockups, clip art, etc. are obligatory for any presentation. 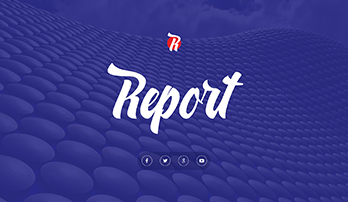 Their purpose is to not only diversify your presentation and add vividness to PowerPoint report, but also display complex or boring information in an attractive way. It is a well-known fact that visualized information is better perceived. Your audience will be interested in your speech. Free download. Do not lose an excellent opportunity to download this template for free! Just get it and do not waste time for a long creation of the presentations. Enjoy working with our template! Clear structure. The sample project report ppt is characterized by its excellent structure. All slides are professionally combined and gathered so that you can easily develop your topic and logically allocate information within the slides. You should keep in mind that coherent speech favors better topic perception. The listeners easier get the main message and follow you if the arguments and ideas are developed step by step. A multipurpose template. This slide is manly designed for marketing plan, but it also suitable for other business, advertising projects, reports, presentations. Easy-to-use premade slides. The purpose of this Marketing Plan free PowerPoint template is to make your work easier, quicker and more convenient. It significantly saves time of the employees who use it at work and simplifies their job responsibilities. You don’t have to have any special skills and knowledge to be able to work with these slides. Due to its ease of use, even beginning users easily cope with it.